t*rexes and tiaras: Friday Favourites 115.. 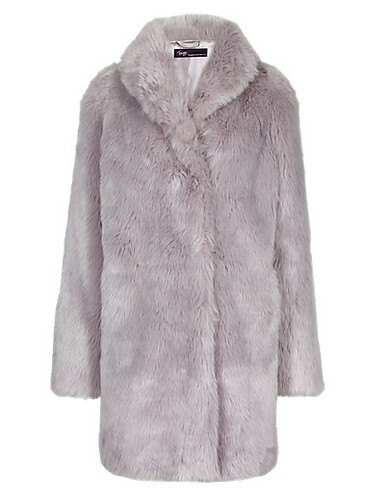 This week has certainly seen the start of coat weather. Particularly when I was in Newcastle for a meeting - it's certainly a lot colder a few hours further north. 001: As I clearly don't have enough coats already, I think it's probably high time I added this one to my collection. It's the perfect length, a beautiful shape and as for the colour..well, it's perfect. I really love this, and am so glad it's back on the website as I've been struggling to find it in my local M+S. 002: Autumn for me is a season which lends itself to all of the leafy green shades, purples and most of all mustard. 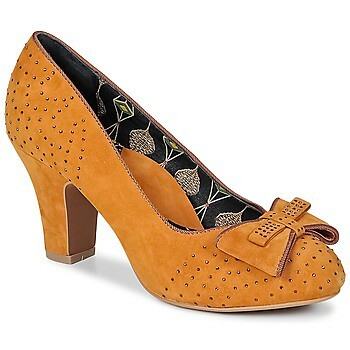 These Miss L'Fire mustard heels caught my eye as being perfect to wear with a pair of opaque tights and a a dress! What's caught your eye this week? Do you have any essential Autumn purchases lined up? I like the mustard shoes, pretty colour. I'd actually like some mustard brogues if I could get them. ooh, mustard brogues would be lovely! Definitely coat weather this week! That coat is cute. We've had our heating on for a while, but this weekend has definitely felt more winter like. Heating is 'properly' on now and was blowing a gale all day. Oh gosh, I;ve not had my heating on for about 5yrs!